Ever wonder how the most successful people in the world achieve success? Many people think it’s because some people are just luckier or have a knack for business. While that’s true you have everything you need to be just as successful. What sets crazy successful people apart from others is planning and setting career goals. After all, you can’t crush a goal if you don’t set one first. Even though setting goals is a major component of success, many people don’t do it. This is because it's hard to set the right goals, but setting the wrong goals or not setting goals at all will leave you stuck in place. Whether you’re ready to set your first career goal or are frustrated with setting all the wrong ones, we’ve got all the information you need. Read on for the importance of setting these goals, the ingredients that go into great goals, and how to set and accomplish them. By the end of this article, you’ll be well on your way to success. To really want to set goals that lead you to success it’s important to understand why they are important. Setting goals for your career path are so important because without them it’s hard to know where you’re going and that leaves you without direction. When you lack direction, it’s easy to get sidetracked from what’s important to you. Plus, if you don’t have an end goal, you can’t really make a strategy to get there, and without that, you can’t track your progress. This is a big deal because tracking progress is essential to success–it’s how you can motivate yourself and know what’s working and what’s not. 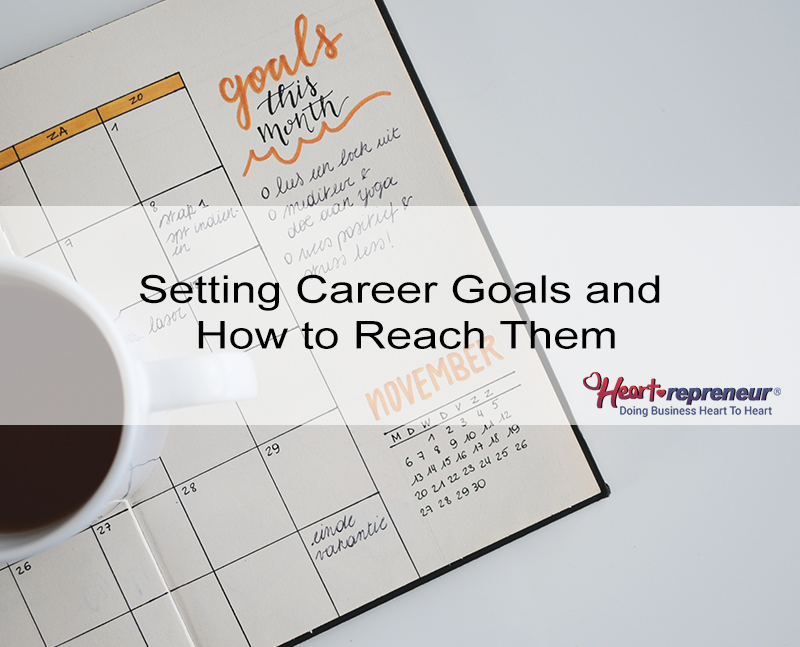 Setting career goals is really a key to success; setting and achieving these goals will bring you advancements in your career, a boost in self-confidence, and an overall improvement in all aspects of your life. Read on to learn how to set and crush your goals. The first step to setting and crushing goals is identifying your goals. To identify your goals, take a deep look at yourself. To identify your goals, you need to envision what the best version of yourself is. Essentially you create a utopia in your mind of exactly what you and your life are like when you achieve your determined success. It’s vital to have a clear image of the future you want, the more detail the more you can connect to it. Once you’ve got that vision, hold on to it; having it will allow you to see how possible it is and you’ll start to always be thinking of how every decision pushes you towards or away from your future utopia. If your career could look like anything in the world, how would it look? When you envision success, what have you accomplished? Where do you see yourself in 2 years? Or 5? Or 10? What are you passionate about? How can you incorporate that into your career? If you had no financial obligations, what would you do today? If you could accomplish anything in the world (because you can), what would it be? Once you’ve set your future vision, look at where you are now. This part is kind of tricky. It's essential to be honest with yourself. Remember it’s not where you start that matters, it’s where you end. Look at your current career and ask yourself what skills and responsibilities it has given you, what your strongest career attributes are, what your weakest attributes are, and where you stand in your business field. Once you’ve thought about this, identify the changes you need to make to get from your current state to your future state. Not all goals are the same, so even though you now understand how to identify a goal, it’s important to understand what makes a tangible goal. If you set the wrong goals, you’ll end up feeling frustrated in your attempts to reach them, and often that causes people to give up. When you set the right goals, achieving them is much easier and less frustrating, so you’re sure to see them through. We’ll cover setting strong goals in the next section. Setting goals isn’t just about deciding what you want, it’s about building what you want into a strategic goal with a plan you can crush. So how do you set and reach your goals? To achieve your goals and the success that comes with them, there are a few steps and guidelines you should follow. These steps and guidelines will have you crushing your goals like a boss. You shouldn’t rush into setting an important goal. It’s essential to put aside a chunk of time where you can give some serious thought to where you are now and where you want to be. Think about the details and don’t rush it. 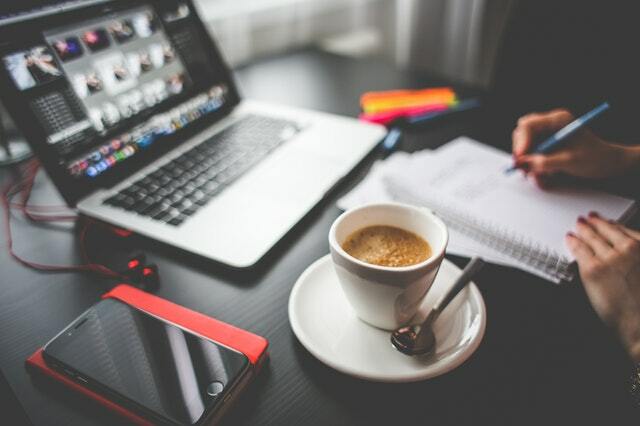 With your busy life, it might seem hard to give too much time to creating a goal, but in the long run it will save you time and bring you success. Rushing into a goal might have you leaving out important details and steps and leave you hitting many road bumps along the way. Your career goal should be a challenge and you should always aim high, but it’s also important to be realistic. One of the major reasons that goals aren’t achieved is because they aren’t tangible. Setting unrealistic goals will cause you unnecessary stress. Keep your career goals realistic and measurable, but make sure they also challenge you and push you outside your comfort zone. It’s been proven that writing your goals down can help you reach them. This is because writing them down really forces you to think about your goals deeply and map them out. Once you’ve got your goal written, condense it into one sentence. Put this goal sentence in a place where it will be seen often. Try keeping it in your office, on a post-it note on your computer screen, or on your kitchen calendar. Having your goal in a place where you will see it often will always remind you of where you’re trying to go. Once you’ve got your goal solidified, break it down into small actions. Studies show that tackling a big task can be overwhelming and lead to procrastination; smaller goals are easier to complete. Break your goal down into smaller tasks you can accomplish daily or weekly and work toward achieving them. Each time you finish a smaller task on the way to your ultimate goal, you’ll feel more motivated which will give you a boost to move toward your goal faster. If you have multiple big goals, prioritize and focus on the most important one. Keep track of the progress you make towards your goal. 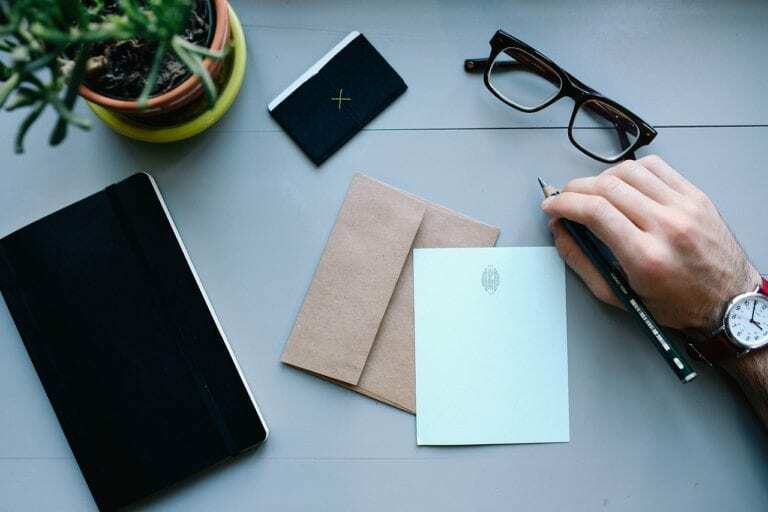 It can be a good idea to use a planner to break down your goal into smaller tasks and keep track of how many you accomplish. Seeing the speed at which you’re moving towards your goal will create a sense of accountability. For more accountability, you can also share your goals with people. Tell your friends, family, co-workers, or social media followers about your career goals. This way you’ll have other people holding you accountable. Also, telling them about how well you’re moving towards your goal will serve as an excellent motivator. Things change, so it’s important to review your career goals. This will be so much easier if you’re writing them down and keeping track. It’s important to review the progress you're making and keep your ultimate goal in sight. As you make advances toward your goal, see if your goal remains the same. You may need to make it more challenging or change a thing here or there to stay on track for the future you want. Setting and crushing goals takes time, determination, and hard work; but it is doable. 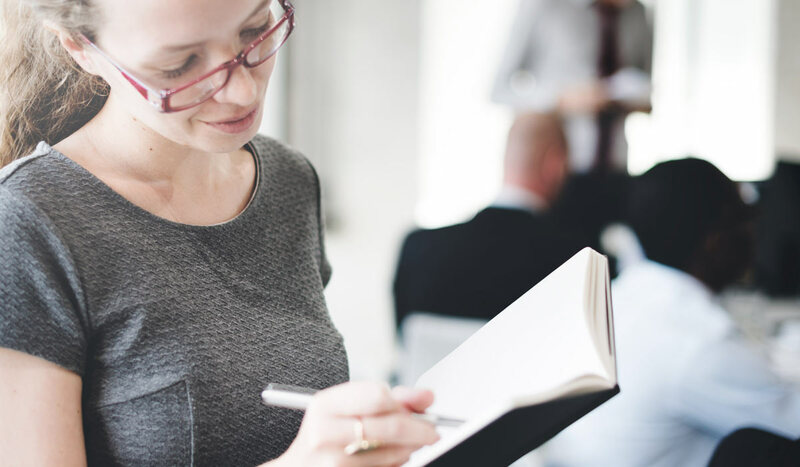 The steps and guidelines listed above will help you set meaningful, real, and measurable career goals and send you in the right direction towards achieving them. Career goals are essential to success. 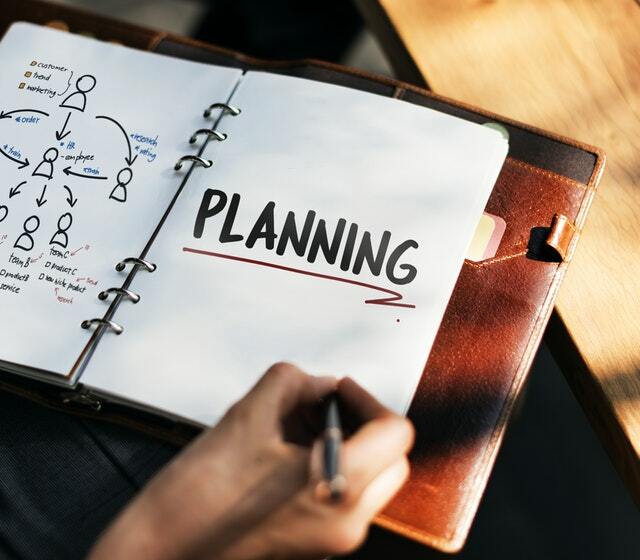 To achieve success, it’s important to envision it, set goals that align with the future you want, and create tangible plans that bring you to the future self and life you want. Setting career goals and crushing them can be difficult. If you’re reading this, however, then you're already on the right track. It means that you've decided to do it, and that decision combined with determination is the important first step. You can take comfort in knowing the days of setting the wrong goals and giving up in frustration are over because you now have all the information you need to set the right career goals and crush them too.